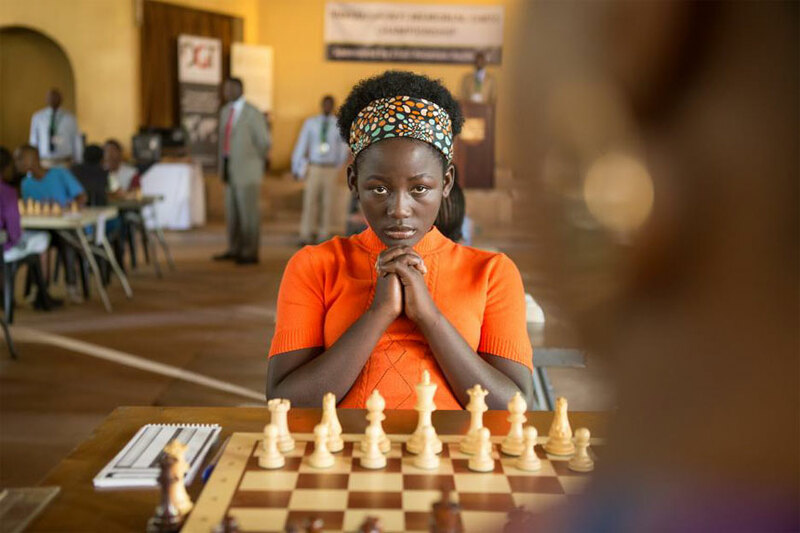 It may be about chess, but Queen of Katwe is at its core that inspirational sports film angling towards a satisfying sentimental crescendo. Chess, of course, is a sport but my few film encounters with it (mostly involving Bobby Fischer) toe a line different to the one our director, Mira Nair, takes. The honest setting is just as important as the characters, and that is key to really elevating this film from your conventional feel-good sports story. It also helps that superb thespian; David Oyelowo and Lupita Nyong’o, put in work when called upon. Despite the presence of that tried and tested duo, this film finds its heart in first-time actress, Madina Nalwanga who the plays 10-year-old heroine, Phiona Mutesi. The slum of Katwe in Kampala, Uganda’s capital, is what she calls home. She sleeps in a shack with her mother, Harriet (Nyong’o) and 3 siblings, two younger brothers and an older sister. She hawks maize on the streets of Kampala with her brother to barely help her family live day to day. The idea of school is a world away and reading and writing to Phiona is as farfetched as the idea of three square meals, not to mention the fact she is a girl. Despite the obvious harshness, I loved the grace with which Nair shoots the slum. Nair grew up in India and lives in Uganda so I imagine she has a feel of a typical third world slum. She knows how to capture the normalcy of Katwe’s inhabitants, whether it is Fiona skipping on with her yellow gallons for water or the brick caster’s warm “how is life” greeting or scant evening supper preceded by grace. There is no pity in Nair’s approach and the cinematography did not evoke despair but instead enhanced the richness of the setting with its saturated streaks of yellow and orange. We have no doubt Katwe is proudly home for most of the people we see. I truly was not expecting this degree of commitment and dexterity, a real novelty given this a Disney film and not a narrative gunning for the conclusion of a bleak crime drama. What fits in firmly with our expectations, however, is the chess narrative. Phiona and her oldest brother, Brian cross paths with a part-time sports missionary, Robert Katende (Oyelowo). Robert has an engineering degree. He finished top of his class, we learn. But a First Class without connections will only take him so far, hence he is still looking for a job to match his qualification. In the meantime, Robert coaches football for his ministry but later channels his efforts towards a mini chess clinic. He figures football may not be a prudent outlet for the slum kids – when was the last time you saw a Ugandan make a splash on the world football stage? The bonus of a cup of koko means a number of the kids find their way to the clinic, including Phiona, who wanders in from the scorching heat of the Kampala sun and is mocked by the other kids for her stench. Needless to say the tides turn and Phiona distinguishes herself as the most gifted chess player in this clinic. The parallels between Phiona’s life and the game of chess become apparent as she learns the role of the lowly pawn but is also introduced to the concept of crowning – subtle foreshadowing of her character arch. To enforce nuance, however, the screenplay also presents chess as a leveller, the kind of leveller that sees the slum kids sit on the same platform with the more privileged city school kids. Chess will eventually take Phiona and a few of the kids to international meets in Sudan and Russia as the underdog from the Katwe slums builds a reputation for herself. As the film progresses and Phiona becomes quite the sensational story, the film wedges in domestic tensions. Queen of Katwe never forgets the hardship Phiona has to return to. The chicken wings and smoothies accompanying the various chess meets are all but mirages when she has to return home to the scant diet in the slums. Phiona begins feeling some entitlement and gets a little stubborn as she believes a chess prodigy deserves better. But much like Robert’s degree it scarcely makes a difference. Phiona cannot eat her trophies, her mum reminds her. The domestic stuff gets a little gratuitous and tedious given we know where this film is heading but thank God for Nyong’o. We have not seen her put in a proper shift since Non-Stop 12 Years a Slave. In Harriet, she is given the most emotionally complex character to handle and she delivers on layers ranging from resilience to despair to joy. There are times we see shades of the gravitas that scored her an Oscar. We also see some more tricks up her sleeve, like in the truly brilliant scene that sees Harriet’s silky exchange with a certain African print dealer who really fancies her. Oyelowo plays Robert quite understatedly. There are no overtly stirring speeches with tear filled eyes and a rousing score in the background. He’ll instead be remembered for the simple things; the warmth, benevolence and dedication to the kids. Moments like the simple game of chess and honest banter with Phiona by the riverside embody the soothing presence he becomes to our central character. 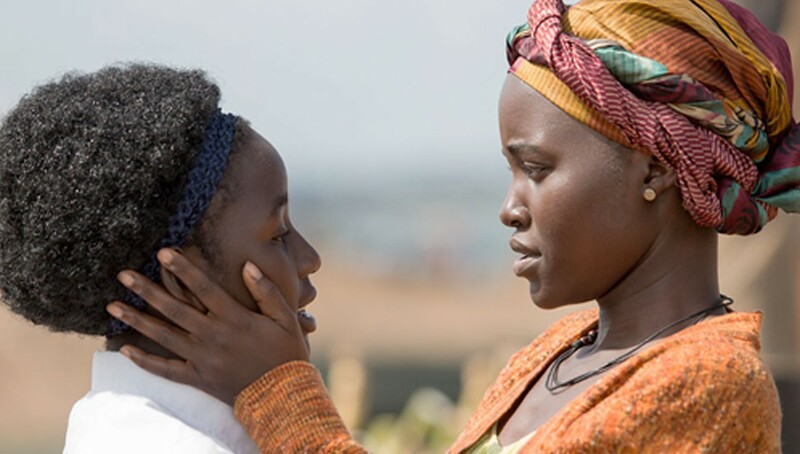 Nalwanga does well to keep Phiona’s arch grounded, playing her well with a cowered cadence well acquainted with the daily harshness of Katwe, to the girl set free by hope and later triumph. The location does a lot of the work for me and I was so grateful for Nair’s ability to really harness the richness of the canvas presented here guaranteeing the kind of experience I wish local filmmakers aspired to. It may be your conventional sports film about chess on first viewing and I won’t fault it for the clichés that come with the territory. But strip the plot away and you find a captivating story about the simple things like family and friendship, about love and kindness.